LUNA, Apayao – Governor Elias C. Bulut, Jr. tapped the assistance of barangay officials of the Municipality of Luna in the construction of booths for the Agro-Tourism Trade Fair in preparation for the province’s hosting of 2019 Cordillera Administrative Regional Athletic Association (CARAA) Meet this February. Bulut has already requested the cooperation and support of local chieftains along with their kagawads for the trade fair to fast tract other works being undertaken by the Provincial Government of Apayao considering the lack of time and manpower. The construction of booths which would house different indigenous products started on February 11 and is expected to be completed and ready before the arrival of the delegates. However, 20 food houses will first be constructed until the end of the second week of February before starting with the trade fair booths. In a meeting with the Barangay Officials, Mr. Jerome Lacambra, Chief of Staff of the Governor guaranteed that additional construction materials will be provided by the provincial government while manpower is the counterpart of the barangay chieftains. 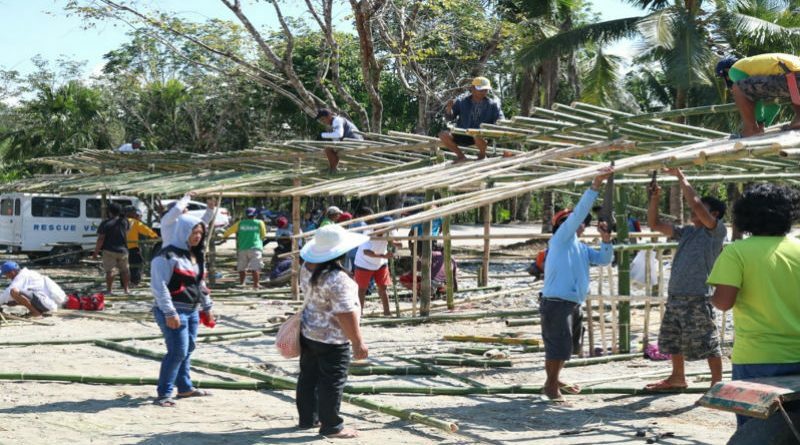 A barangay official though suggested the use of indigenous materials like bamboos and anahaw leaves for the construction of booths in which the group unanimously agreed. Barangay Officials will also take part in the monitoring of proper waste segregation as well as the maintenance and cleanliness of the billeting schools in their areas. During the Kapehan sa Kapitolyo for this month, Bulut encouraged all officials from the provincial to barangay level including the heads of the national line agencies to work hand in hand for a successful hosting of 2019 CARAA Meet.